If there's one thing that you can say about Sony's digital camera business, it's that they've experimented with many different concepts. From SLRs with dual autofocus systems and 'Translucent' Mirror Technology to its NEX mirrorless line-up, Sony has gone down virtually every avenue in digital imaging. 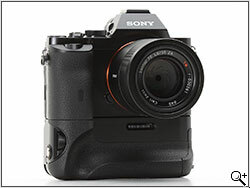 Its latest products - the Alpha 7 and Alpha 7R - may be the most exciting products to come out of the Sony labs in some time. The company has managed to create full-frame cameras which are about the same size as the Olympus OM-D E-M1. In other words, the Alpha 7s are much smaller than their full-frame interchangeable lens peers (such as Nikon's D610 and the Canon EOS 6D), an achievement made possible primarily because they're not SLRs. 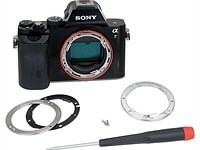 In addition, Sony is also unifying the Alpha and NEX brands, so all future interchangeable lens cameras will now fall under the Alpha umbrella. Being mirrorless, the a7 would have otherwise likely been prefixed with the letters NEX. The a7 and a7R are identical in terms of physical design, with the main differences being the sensor and autofocus system. 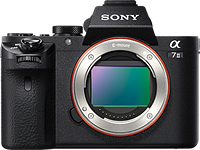 The a7 features a full-frame 24 megapixel CMOS, while the a7R has a 36 megapixel CMOS sensor with no optical low-pass filter. 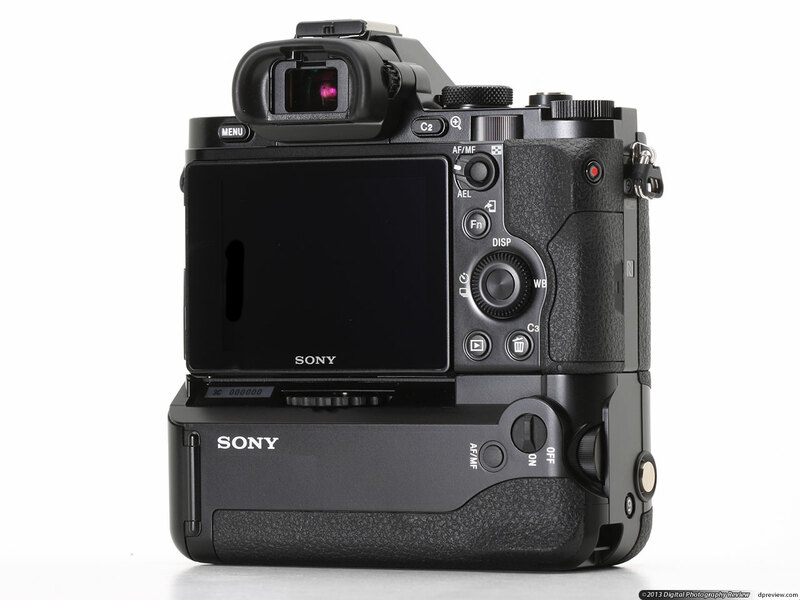 The a7 uses a Hybrid AF system (with on-chip phase detection) similar to the one found on the NEX-6, while the a7R has traditional contrast detection. The a7 is also capable of electronic first curtain mode, which allows for a quieter shutter, and reduces the potential for 'shutter shock' vibration; this is absent from the A7R. 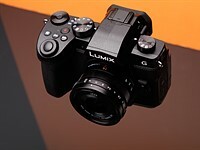 Both cameras use Sony's latest Bionz X processor and also have XGA electronic viewfinders, tilting LCDs, Wi-Fi, and weatherproof bodies that resemble that of the Olympus E-M1. As you'd expect, Sony had to come up with new lenses to take advantage of the full-frame sensors, and they'll be known as 'FE-series'. Five lenses were announced to start with (listed below), with ten more promised by 2015. Existing E-mount lenses will work, though the image will (necessarily) be cropped. If you have A-mount lenses laying around, those too will work, as long as you pick up either of Sony's full-frame-ready adapters (the LA-EA3 or LA-EA4). 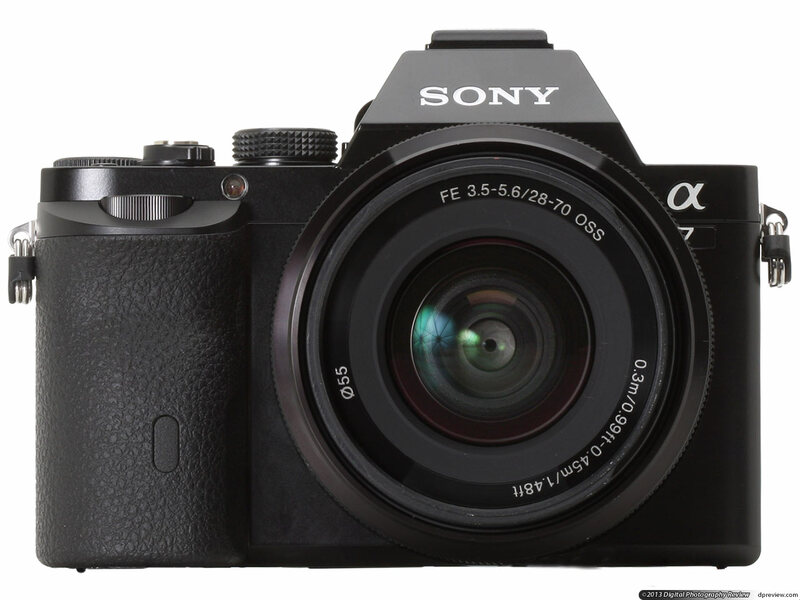 The a7 uses a 24.3 megapixel CMOS sensor with a low-pass filter and on-chip phase detection. This 'Hybrid AF' is supposed to result in speedier AF, supporting the camera's ability to shoot at 5 fps with continuous autofocus. The more expensive a7R, on the other hand, has a 36 megapixel sensor with no optical low-pass filter and a more conventional contrast-detect AF system. Both the a7 and a7R can record video at 1080/60p and 24p, with manual exposure control, headphone and mic ports, an audio meter, zebra pattern, XLR support (via adapter), and live, uncompressed HDMI output. The company's latest processor, dubbed Bionz X for reasons that presumably made sense to someone, is considerably more powerful than the previous generation, allowing what the company says is more sophisticated processing. Sony is being a little vague on specifics but is touting the new processor as offering 'Detail Reproduction Technology' which appears to be a more subtle and sophisticated sharpening system. The company promises less apparent emphasis on edges, giving a more convincing representation of fine detail'. Another function promised by the Bionz X processor is 'Diffraction Reduction', in which the camera's processing attempts to correct for the softness caused by diffraction as you stop a lens' aperture down. This processing is presumably aperture-dependent and sounds similar to an element of Fujifilm's Lens Modulation Optimization system (introduced on the X100S), suggesting it's something we should expect to see become more common across brands in the coming months. 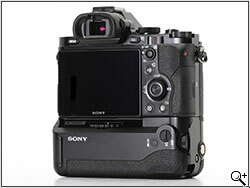 Finally, Sony says the Bionz X chip offers a more advanced version of its context-sensitive, 'area-specific noise reduction', which attempts to identify whether each area of an image represents smooth tone, textured detail or subject edges and apply different amounts of noise reduction accordingly. Later in the review, we'll show you just how well this system works, and also the problems it can create. While the a7 has an E-mount, you'll need to use Sony's new FE-series lenses to take advantage of its full-frame sensor. Existing E-mount lenses will still physically fit, but as they're only designed for use with APS-C sensors, their image circles won't cover the entire frame properly (just like using Sony's DT lenses on full-frame Alpha mount cameras). While five FE lenses were announced at launch, they were not all available at 'press time', and the 28-70mm F3.5-5.6 OSS will only be sold as a kit lens for the a7. All of the lenses are weather-sealed, but while the zooms include optical stabilization, the primes do not. 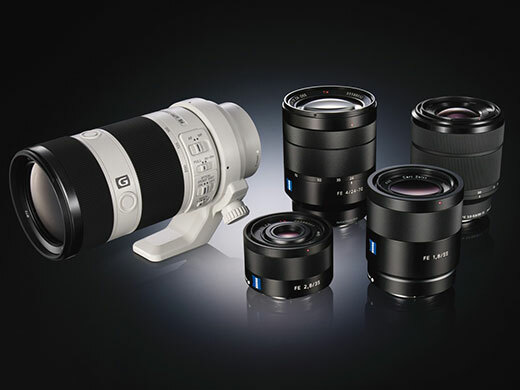 Sony plans to have a total of fifteen FE lenses by 2015, including macro and ultra-wide models. We're slightly surprised by Sony's strategy here: it seems a bit odd to be making two different standard zooms to start with, rather than adding a wide-angle zoom. And while it's great to see a couple of primes, both look somewhat slow given their prices. The 55mm F1.8 is a bit long for a 'normal' lens too. We'd have loved to see a fast 'portrait' lens in the 85-135mm range early on, but hopefully Sony will offer one soon. The two cameras are perfectly capable of using existing E-mount and A-mount lenses, and you have the choice as to whether the image is cropped. If you choose to crop, the resolution will drop to 10 megapixels on the a7, and the equivalent focal length will increase by 1.5X. Sony also gives you the option to not crop and use the entire sensor, though this is likely to lead to strong vignetting. 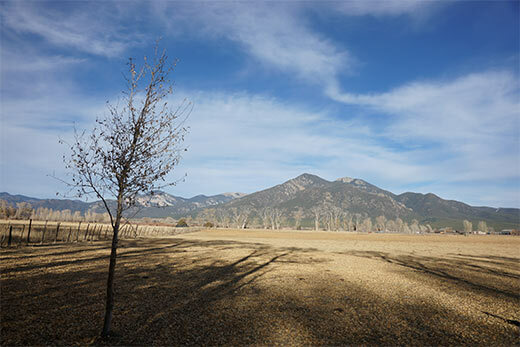 The camera offers three options for its APS-C crop mode - Off, Auto and On. With it switched Off, you'll see Image 1 with a full-frame lens and Image 2 if you're using an APS-C lens. With it switched to Auto mode, you'll get Image 1 or Image 3, depending on whether you're using a full-frame or an APS-C lens. And finally, with it On, you'll see Image 3, regardless of which lens type you put on the camera. Sony's A-Mount lenses will require the use of an A- to E-mount adapter. Somewhat confusingly Sony now offers no fewer than four such adapters, which differ in their autofocus capabilities and format coverage. The LA-E1 and LA-EA3 offer contrast detect autofocus for lenses that have built-in focus motors (i.e. SAM and SSM), but only manual focus with other lenses, while the LA-EA2 and the new LA-EA4 use Sony's Translucent Mirror Technology to offer autofocus with all lenses. The LA-EA1 and LA-EA2, however, were designed for APS-C NEX cameras and will vignette strongly when used on the a7(R); the LA-EA3 and LA-EA4 are needed to give complete sensor coverage with full-frame lenses. It's well worth noting that the a7 and a7R are able to accept a huge range of other lenses via readily-available third-party adapters, including old manual focus lenses from long-dead systems such as Minolta MD, Olympus OM, and Canon FD, as well as those from current systems such as Nikon F, Pentax K and Leica M. What's more, in principle these lenses should offer the angle of view they were originally designed to give - so a 24mm will be a true wide-angle again, for example. So if you have a cherished collection of old manual focus primes sitting a closet, the a7 may be just the camera to bring them back to life. More on that later in the review. 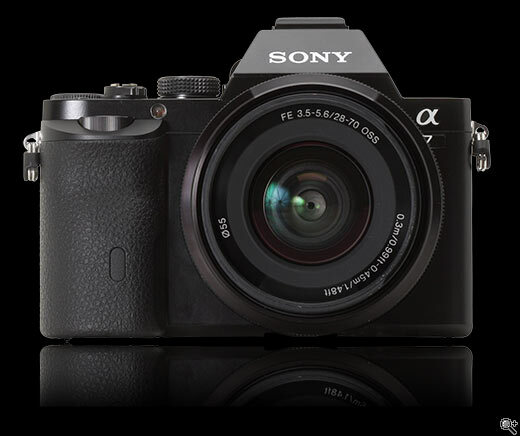 The 24 megapixel Alpha 7 sells for $1699/£1299 body only and $1999/£1549 with the 28-70 F3.5-5.6 OSS lens. For those who are curious, the 36 megapixel a7R is priced at $2299/£1699 body only. The most notable accessory for both cameras is an optional battery grip (VG-C1EM) - a first for an E-mount camera. This grip adds controls for vertical shooting and holds an additional battery, and will set you back around $300/£259. The a7 does NOT come with an external battery charger, instead relying on internal charging over USB. USB charging is quite slow (and it makes having a spare battery on hand more difficult), so picking up the BC-VW1 or BC-TRW external chargers is probably a smart move. Other accessories include camera cases, an off-shoe flash adapter, wired and wireless remotes, and screen protectors. This review feels a little bit aspirational/hopeful, along the lines of 'we're not there yet but we're almost there'. Do these new new 'semi-affordable' FF cameras (under ~$3000) produce better pictures than today's top APS-C cameras? It was interesting to compare the NEX 6 with the A&7 in the various widgets of this review. Rarely did it seem to have significantly more noise or less detail than the A7, and other than a couple fun-but-not-mandatory dials there's little else to differentiate them (other than about $2k once you've bought a couple of primes). I can imagine why someone would get the A7 to have the maximum possible quality+megapixels out of a Sony, but the NEX 6 seems shockingly close in most ways, especially compared to the analogous difference between Canon 700D and 6D (where the comparsion widgets will make the 700D look like total crap at high ISO). Sony seems to be making a line of cameras that make it hard to spot the difference between full frame and APS-C size sensors, which is wonderful IMHO. It's great to know they won't cripple the enthusiast camera just to boost the pro one. I wish this review had spend a couple paragraphs pondering what you get over a 700$ NEX 6. 1 - At super-high-ISO the A7 had less noise by about 1 stop, though maybe it was more like 1/2 stop. With both cameras at ISO 6400 the A7 wins by a small margin, but with the A7 at 6400 v. NEX 6 at 3200 the result is at LEAST a tie, if not slightly a win for the NEX 6. 2 - In the contrast-testing sections of the image (B&W circles, lines in the bottom right corner) the NEX 6 showed heavy color distortion around the black parts. This happened all across the ISO spectrum, and is almost certainly chromatic aberration caused by the lens. I mention this because it is very noticeable and could distract from more important issues. It also pointed me to the fact that the lens used on the NEX 6 in the test shot was an AWFUL choice. For some reason they used the "DT 50mm F1.8 SAM", a $170 lens intended for Sony's APS-C DSLRs (used with an adapter?!?). The A-7 instead used the $1700 "85mm F1.4 ZA Carl Zeiss". So if anything the lenses (literally Sony's cheapest lens v. super-expensive-prime) mean that the NEX 6 should look EVEN WORSE than usual by comparison. The fact that the NEX 6 is so similar to the A-7 in those tests is a testament to it's excellence. Thanks very much for the replies! I went from a nex6 to the a7. There is no comparison in low light performance. I tend to have less loss in in the high lights and low light areas when shooting raw. Plus there are much more controls at your finger tips with the a7. Otherwise it feels like an older brother to the nex6. I would not tell someone they need to ditch their nex6 for this but there are some really nice features it has that my nex 6 didn't. I should mention I loved my nex6. It is what I recommend to most of my friends. The extra controls seem really useful on the A7, though one thing that annoys me is that on the A7 (and NEX 7 for that matter) you have control over what each dial does, making it 10x more usefu. It seems like the NEX 6 has enough dials, but forces them into a single configuration which isn't right for everyone (I often want to leave aperture wide open and would rather have ISO+shutter on the wheels rather than aperture). This seems especially true in the P/A/S modes where it seems like often only a single wheel is even active? In the early reviews there was a universal refrain of "hopefully more control over wheels will be added by firmware later", unfortunately it seems like that isn't going to happen. Even my old Canon S95 (high end compact) had settings to control the effect of it's two wheels. I wish Sony would update the older cameras with the new firmware from the A7, as with old iPhones it would probably bridge the gap of a huge chunk of the new "features" of the A7. cxall a doctor for sony a7r and the other user...they are getting sick..
Judging by these comments, I would go and see a doctor. sure i hope they are 5 years old..screaming like a child for a silver award..neverr seen something like that...but we are used...sthey are not photographer they are child who want have the most famous and good camera to show off them wo friends and strangers. that's all. Ok, so what are you doing here then? The viewfinder is critical part of a camera, I think it is wrong to give any electronic viewfinder such a high rating especially considering their so so performance in low light. I do agree the viewfinder is a critical part of the camera. In that respect, it has not disappointed me whatsoever. In fact, I've always hated the low quality of EVFs, but this is the first one I greatly appreciate. It performs very well under low light conditions, at least when paired with a fast lens. With a slow lens, the frame rate decreases, but that's actually a helpful indicator the shutter speed is getting too low for capturing subjects. I definitely prefer it over an optical viewfinder for manual focussing. I've tried the A7's (and Fuji's and Olympus' offerings) EVF's many times. Only tourists upgrading from arm's length peering at a tiny display would feel that that is "great". Try a truly good optical viewfinder, then come back and let us know what you really think. ...Such as the viewfinder of my 5DII you mean? 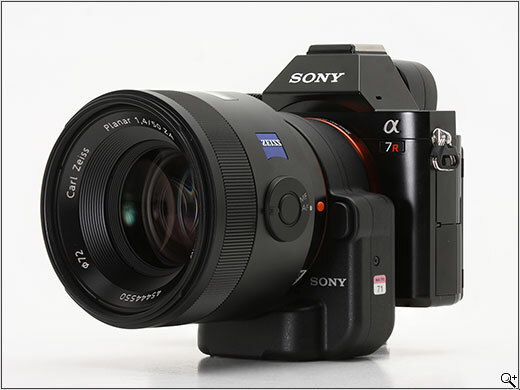 The EVF of the A7 is about the same size and is a lot better for manual focussing. Only a SLR from the 70s offers better MF, such as my Canon A-E1 and T-70. An EVF gives you accurate live-view, correct DOF and overlaid information. Where can you find an OVF which sports this (not counting the Fuji X-Pro1 - that is not TTL). I agree with you MikeF4Black that a good optical viewfinder is hard to beat. Try to photograph aircraft landing at an airport peering through the viewfinder with a 400 mm lens for a couple of hours with an EVF! For that reason, I have a Canon 7D for telephoto and action work. 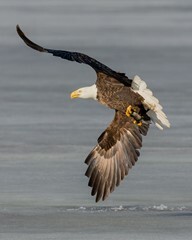 DSLRs are still better suited to handle large telephoto lenses and take action shots where good tracking is required. However, an a7 used for wide to short telephoto, is a light package with higher image quality than APSC so it gets more use than the 7D these days. What I really hate about EVF's is the constant "building up" of the image as you move the camera (maybe you shouldn't), and the unnatural look of the thing. The OVF of a D800 is not ideal, compared to f.i. that of my F2AS, but it certainly beats any EVF I've ever tried, and I've tried a lot of them. you probabely have never had the opportunity to look into a Sony EVF. Never have seen anything building up there, and, I see the noise of the sensor, what is important when you shoot in the dark. For manual focusing with peaking, an EVF is a must. A OVF is just more bright, and for all the rest it's a pain in the a.. I use both, and EVF is the most fantastic thing I know, Sony EVF, i mean. @Shamael: read my post. Yes I did. Resolution better than Fuji, still the building up thing and flickerey in a shop environment. Not pleasant to look through at all, but then I'm probably spoilt (and old/oldfashioned). I could get used to it of course. I spent a summer (2009) using an EP-2 with the EVF, and that was allright; IQ was great btw. I sold that one. @Whitebeard and others: with all due respect, I don't feel the need to see what I've just shot in my viewfinder, even if would be "exactly" the same as what I would see on my supposedly hi quality home screen. I don't the rear display on my D800 a lot either. I've taken the trouble to get accustomed to the camera, and know within a certain range what to do and what to expect.msame with my film slr's. I don't need or want an EVF for that, it's just an annoyance to me. Does it really need to get 10 gold stars just because its Sony? I guess reviewers should be let free to point out their findings regardless of the fear factor of big brand. Being one of the fist mirrorless full frame cameras does not necessarily translate into the best..........Those who bought into sony need to be realistic as ergonomics, IQ and Jpeg engine is not sony's strength!! IQ is on a very high level, especially when shooting RAW. For the exceptions not shooting RAW, JPG is quite good. Ergonomics are quite good once you have adjusted the camera to your likings. Actually it's quite snappy as well. "The a7 does not provide live view in Speed Priority mode." Like, for instance, what it does provide! The list of this it doesn't provide can be quite long, like "it doesn't peel bananas." I gather from Grippppppppppppppps incessant interventions that a Leica M is not mirrorless? Wonder where they hid that mirror, and what it does. I believe I won't tell you any news saying that Leica M series are rangefinder cameras (M stands for Messer - and so they hid the mirror in the M-logo and in the rangefinder:-)). So no, it doesn't have a mirror, but as it is manual focussing camera, you can hardly call it "mirrorless", do you? It doesn't have a built-in viewfinder as well. It's a different class of camera altogether. i have tried it in a shop...and put it down after a second...really i hate evf...sorry when u look through a cinema viewfinder like i do every time i raise m,y 645d, this camera is joke, in every sense. by the way i have the k3 that as regarding as af and features trash away the 7r and slap provide similar iq in the same small package. 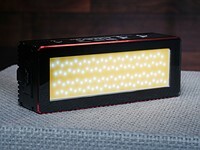 the only eve camera for me is the gh2 or 3 for the cinema features. if i had to add a ff model the d800e with superb af and flash system and possibility to mount the sigma 120.300 will be my chichi..but i agree this is the best camera if u have old manual lenses u want to try. but i'0m not a fanatic of manual lenses. I think what is at issue here may be a matter of tone: DPR seems on the whole not so convinced of the significance of this camera for digital imaging in general. Although I do dislike Sony as a company and in particular as a camera company, you've got to give it to them: They built what we've all been dreaming of for the last ten years. 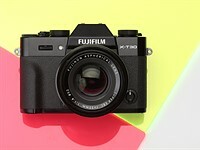 A full frame sensor in a body as compact as the smaller 70s slrs. I suppose I can't blame DPR. My own personal review if I had access to the camera might be: Amazing! Pity (camera maker x) didn't do this instead of Sony. But that's the thing: if this is where things are headed, other makers will follow, so it's still a win. Bust out your party hats, DPR, things just got interesting again after a long wait. It's truly amazing how an objective review of a photographic product from a manufacturer that used to excel at making transistor radios elicits so many heated comments. The term "fanboy" really gets new meaning here. All very amusing; it certainly makes for an entertaining read. Would be nice if you could elaborate a little more on sensors design by Sony. Thank you. Yes, great technology; my D800 is eternally grateful for its sensor, and I mean that. Camera design is something else again, and so is "sensible" innovation and "evolutionary" development. @MikeF4Black The delicious irony of your comment is that you were so moved by your own fanboyism to make that kind of comment. For totally irrational reasons I wanted a Nikon and got myself an FM2n 25 years ago; still have and stuck with the brand. No reason to change, no fanboyism. The discussions are entertaining though. "A photographic product from a manufacturer that used to excel at making transistor radios"
First, there is clear bias in your statement. Secondly, did you ever consider what makes a digital camera? A digital camera is an optical instrument which allows its user to create an image of an object and store it in a way it can be reproduced later. For the optics, the company's own expertise was extended by partnering with a company which does optics almost exclusively, and that for quite some time. In a digital camera, recording and storing an image happens exclusively by electronics, mostly transistors. It helps to have been an expert in that respect. The interfacing is largely around bundling ergonomics and software. While not perfect, the expertise learned by having produced millions of all sorts of devices is also of help here. So, objectively, Sony has some starting ground, not? btw, I have never been a fan of Sony; quite the opposite in fact. But I picked up the camera because of its strong appeal towards me: FF in compact clothing. That's what it is. And having it for 2 months now, I must say it has not disappointed me. The beginnings were a bit hesitant though. A firmware upgrade would sort out the majority of glitches. Maybe in flatscreens (I've got a very good Sony flatscreen), not in cameras. I've yet to see a Sony camera with decent ergonomics and handling. They've really squandered that Minolta and Konica heritage. You obviously didn't examine the studio shots or read the review in detail or the meat of the negative comments. Most of the criticism is based on objective evaluation (and I'm not even a Sony user) and some on real longer term experience with the camera. While there may be a dose of subjective emotion in some comments, I find your own criticism to be gratuitous, ill-advised (Sony makes some of the finest sensors used by many other camera manufacturers) and rather insulting. Good noise reduction for jpegs but the raws are still no match for 5DMkIII and 6D. Less detail and grainier noise, especially if you look at the light blue and purple color fields at ISO 6400. Even the noise reduction isn't able to fix this. Good noise reduction in JPEG is false in A7. Fact: High ISO NR is causing a huge problem across all A7 camera that introduce banding, posterisation, distortion/artifacts that occurred in JPEG. Even in Nex 7 as well I have experienced it. The ACR raw software done outstanding job on noise reduction for raw files from Nex 7 I have had and A7 will do the same, those sensor are very similar apart from one is APS-C and one is FF. So far I don't see problem in raw either out of new A7. It looks like it is down to your own software or human error either way. Never get jumpy and buy a camera at the time of launch. Wait until the dust settles. 1. The world's against Sony. To make things right, it's important we all take it easy on this great innovator. 2. Reviews are for advertising products, not to inform people. 3. Reviews should include shout-outs, owner interviews & profiles. 4. All Sony's press releases should be required reading before setting out to write a review. 5. If you went investigating something, only continue if early results are positive. If they're not, stop immediately and speak of it to anyone. 6. If you are seeing something odd, don't write it down in the review. Instead, consult the Internet, ignore all places which confirm the oddity & only focus on resources which ignore it. 7. The review should be randomly peppered with words like "innovative", "revolutionary" and "full frame". 8. Limit specific mentions of competing products as much as possible. Less is better. 9. Self-censorship is a trait of a disciplined mind. 10. Shutter shock is a myth! @bluevellet I'm not sure anyone could care what you think of their comments. Seems a touch arrogant of you to draw up that silly little list, as if your own comment somehow means more that those of everyone else. Just being honest with you. Consider it a quick, light-hearted summary of the most outlandish comments made in this comment section (and the NEX forum). No one is specifically singled out. Take it or leave it. At least 8 people at this point do care. And there was no need to read it all in one go, it's been growing for the last 48 hours with always something new to read whenever I surf back here. You see that trail with other comments of mine left here at different times . Did you pause to ask yourself why there are so many comments? I follow DPR since 2005 and I have seldom seen so many; perhaps this review hit a nerve? Product hyped to high heaven gets thrown back to harsh reality. Fanboy meltdowns follow. I post at a big video game forum (of which Sony is coincidently a major player) and that type of hyper emotional reactions are common. People get heavily invested in their gear of choice and get hostile when challenged. Something tells me, bluevellet, that if Sony made spoons, you'd also be a member of a cutlery forum making the same pointless arguments. dpreview shoots jpegs with noise reduction turned all the way up, then says that the a7 jpeg noise processing is bad?? quoting quezra from yesterday: "The question is, why didn't you try out NR-low and NR-off in Xfine mode?" pro shooters do noise reduction in post, not in-camera. so why treat a7 jpegs like they came from an iphone? dpreview credibility is taking a beating over this... you guys need to re-examine the way that this was handled. Because noise-reduction on is the default. Furthermore, it's called High ISO Noise reduction, so it should not apply to ISO 100 - but it does, apparently. If you turn it off, the noise goes up. probably it's not on/off but strong/weak levels. So, the 'bad' examples was fully knowingly shot with a setting that produced the worst results? Just wondering, what setting was the PASM dial on when you received the camera? Thats called Posterisation from High ISO NR on or even at other level. Its an epic failure for that. Avoid that at all cost. Wait till Sony send out firmware update for that. Or just shoot RAW only I prefer that too. It's amazing that the fact that the camera comes with a much better range of in-camera image quality tweaking settings than any NEX before (including higher rated ones like the NEX-7), yet the one thing DPR found fit to comment on was what NR was on the highest setting. And faulting default sharpening at ISO 12,800 and up. When there's 7 sharpening levels in-camera. And it did a better job than their own efforts in RAW, by their own admission. DPR calls full size DSLR cameras (the Nik D610 & Can EOS 6D) as the Sony A7's peers. What is wrong with DPR?? They're totally different beasts altogether! How can you compare a full-body/full-weight/full-frame DSLR to a compact/light-weight/full-frame digital camera? Furthermore, those "so-called peer models" (which they're not) have been around for a while (a lot more room inside as well) whereas the Sony A7 is brand spanking new and...as of currently..."one of a kind." You can't compare them in the least bit--until the competition, brings out the same type/same class! It's like comparing vehicles such as a large Mack semi-truck to a Ford pickup truck, they both haul & transport--but size, engines & power-ratios will differ dramatically! -Here's how it would sound like: "The Mack semi hauls massive weight effortlessly whereas the Ford pickup truck has a considerable amount of trouble & strains to keep up when hauling the same size load." *Very, very, unfair and invalid DPR! Actually I call bull on your statement , the comparison is completely valid and it's the market share Sony is going after so in order see how it fares it MUST be compared in image quality , handling & so on ..yes it's a very unique camera but if it's wants to really occupy this segment of the markets then it has to be compared .. If you were shopping for a Full Frame digital camera with interchangeable lenses, what are your options, YSP? D610, 6D, D800, 5D Mark III. Or do you have another recommendation? would recommend D800, 5D3 or D610, 6D in that order. (Canon lenses are better but I'd say they are very near). anyother mount will only cost more and perform worse. Why A7 was not compared to Leica M 240 ? That's it's the closest camera in the market today. 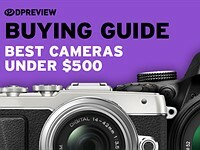 I think when most most people shop for a new camera they have a price range and compare what's within that price range. But when a new ff is introduced can't ignore how it compares to existing ones. What is your reasoning here yab? You have extensive knowledge of these cams or have just read the specs? I thought you only used Phase One anyway? I don't agree. Some of us (like, me) specifically want a FF camera. I don't shop for a price range - I have an idea of the capabilities I want (low-light, video) and I'll look at and compare FF cameras whether they're $500 or $2500. That the A7R is compact, introduces a real choice for me: do I want to lug the extra size of a 6D or D610, or go with this compact little gem? I actually don't know anybody who says "I want to spend $721.39 on a camera today: let's compare what I can get for that." LOL. That omission says quite a lot. an entry-level full-frame SLR with 24-70/2.8 and 70-200/2.8 costs about five grands and this may be too high a price for newbies. then some turn to "cheaper" solutions and end up in spending more for far less capable gears. do get those with years of budget you plan to spend. get some more especially if needed to qualify for professional service, which is the only place you will visit Canon or Nikon for years. Yes James your right, no one says I want to spend 721.39 what can I buy. That would stupid and unless you are an idiot you would know that is not at all what I said. I agree that people might just be comparing ff cameras but even then they would still be considering pricing. If you can afford any camera you want then good for you but most of us are not in that boat. The A7/r are designed as ENTHUSIAST cameras and definitely NOT pro cameras simply because they employ new technologies that have not been optimised and improved through several camera generations. 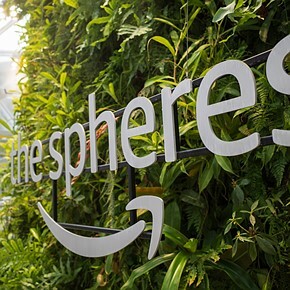 As such they are capable of incredible results under suitable conditions, and enthusiasts (who innovative products are designed for) will rate them highly and will find them INSPIRING. At the same time people looking for semi/pro gear will find them lacking in certain areas and inconsistent! As such I think the review does not serve them justice comparing against the D610 and 6D, which are also more expensive as well (and boring as hell). Sony did a great attempt with those two cameras, lets judge them against other manufacturers' attempts to INNOVATE - oh wait, noone else is innovating in FF yet, maybe we should wait a bit longer! A pro can use an iphone camera so what is your point? You never shot A7/r so for sure you don't know what you are talking about. It looks like you don't know what you are taking about. A pro is someone earng their living with photography, you know, PROfession. Everyone who knows what they are doing can achieve great result with a low end camera, but no, for your surprise iPhone cameras are not used for pro work!?! Are you 11 or what? Real pro camera is either Canon 1DX or Nikon D4. That is semi professional out of Sony A7 and A7R, not full professional. I think this camera is more for enthusiast and maybe semi pro photographers. Not that a pro won't use it but The majority of buyers are gonna be people not afraid to take the camera out of manual mode. 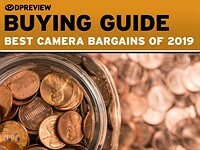 When I'm looking into a new camera usually have a budget and look at cameras in similar price ranges within my budget. O would think that would be a normal way to compare cameras for an enthusiast. Either DP's review is flawed or they have something against Sony. I read tons of review and NOT a single review mentioned about subpar jpgs of this camera. Actually, it was the opposite. SonyA7r, you may be suffering from biasanalysis-ness. How many times are you going to repeat the same thing in one comments section? poor af, poor shutter bump, poor handling, ..great sensor you can find in much better cameras like d610 or d800e....poor native lenses line up, ok you can mount every ons, but people that want af, i thought the majority out there remain with 2 native lenses, and sony is not famous for releasing lenses in time and the lenses that are needed. what do you expect? Well today I can prove that low light AF is not an issue for me. Probably Im just lucky bugger for this A7. Sorry to burst bubble. Pop! i repeat probably fanboish don't understand...what is good for u maybe is average for somebody else...that's why somebody review camera and u not...and every review of people who review every camera say it's a poor af,....even people who always praise every camera to obtain money form sponsor like that poor photographs using leica , is saying the same. I am rather puzzled by your conclusion on the bad JPEG high-ISO performance of the A7 when I scrutinize the studio shots, especially zooming on the playing cards, the B&W drawings (family applauding a painting and bearded man portrait), colour portraits and bills/coins. I find the detail, contrast and lack of annoying artifacts (look at the hair of the Jack of Hearts, middle card in top right corner, with the Nikon D610) much more appealing on the A7 at high ISO (say 3200) than the Nikon D610 and even the Canon. Considering the 610 to be a clone of the D600 as far as IQ is concerned and that you piled superlatives about the D600's low noise at high ISO, either something is wrong with your studio shots or your conclusions. For myself, based on these same studio shots, I would be quite happy with the A7 and ecstatic - albeit even poorer - with the A7R! DPR is a truly amazing camera database. Want to compare IQ? Go to pages 17 or 18, select A7 and A7r against, say, Nikon D800 and Canon 5DMk3, and see by yourself. Review conclusion? Well... Lack of flash has not been in Cons for 5DMk3, but is suddenly a drawback for the smallest in class A7. Right. And so on, and so forth. The issue with DPR's is that it pretends to be scientific, takes months to prepare a review, which is stuffed with mind-boggling charts and minute details, and then comes to the conclusion based mostly on reviewer's personal preferences... It is this contradiction that causes all the controversy, IMHO (of course). "Want to compare IQ? Go to pages 17 or 18, select A7 and A7r against, say, Nikon D800 and Canon 5DMk3, and see by yourself." Except of course their testing is broken and they test "same" ISO with different exposures for different cameras, rendering the comparison invalid. Flat resolution charts and endless menu enumeration which I bet nobody reads in their entirety - here they are. But want a scientific evaluation of such all-important characteristics like autofocus, tracking, metering, auto modes "intelligence" - you are out of luck. > "Except of course their testing is broken and they test "same" ISO with different exposures for different cameras, rendering the comparison invalid." Won't argue with that, but it still makes much more sense to me than, say, comparing cameras based on DxO marks of their sensors, and lenses based on MTF charts -- even done in "controlled conditions", with all bells and whistles... In other words, I for one simply do not know a better source of "raw" information. Sony - as long as it's something Sony thinks can give an advantage over the competition, its a good to go product. There is no single employee responsible for the overall integrity or completeness of any system. Some minolta lenses left over from film days they still try to peddle to the unsuspecting. And way overpriced, and nothing special stuff from Zeiss . Tamron CA city products from 15 years ago etc. They need a leader who's been steeped in the industry to save thier disorganized bacon. Look at the specs for their 70-200mm f2.8G. Look at the performance and the price. What a joke. It's not just Sony. Huge corps trying to empty our wallets. Price fixing at the distributor and retail levels that go unchallenged. 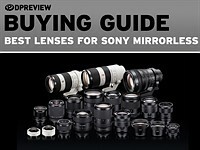 Lenses that are non- retrofocus designs, yet still have same price as retrofocus models yet no better quality. All benefit of less complexity goes into profits and nothing comes our way in lower prices or better performance. They can all bite me, I'm not buying a thing. Having got the A7r and used it for a month I won't be going back to my 5D MkII for landscapes or cityscapes, day or night shooting. I shoot raw and process in Lightroom which is very easy. I get the best results I have ever got, and by a good margin. I don't like the slightly artificial look of the JPEGS but, since I prefer raw for its flexibility when processing, its not an issue for me. I also highly rate my RX100 and D7100 and enjoy being able to pick from a range of gear for the job or trip. The limitations of the A7/r have been highlighted in this article and if you could only buy one camera to cover a broad range of subjects, perhaps not an A7/r but a get a small SLR. Otherwise, buy it for its pros, I did. Also be prepared to buy some very good lenses unless you already have them, a couple of batteries and a charger. Image quality wasn't strictly the issue we referred to. It was poor handling of JPEGs, with an emphasis on posterization due to Sony's uniquely aggressive anti-noise processing. Shawn, is the A7 like most Sony cameras where you can't turn off noise reduction? It7T seems they usually only have 2 options for jpegs, a lot of NR, and a lot MORE NR. I have no idea why you can't turn it off on so many cameras. It has 3 settings: Default, Low, Off. NEX-5N had Default and Low, and low wasn't low enough, I agree. A7 low is in the Goldilocks zone for me. I have it all switch off on A7 and posterisation is gone llike what Dpreview reviewed it. It is clear that Sony had made a mistake in algorithm in the noise reduction. 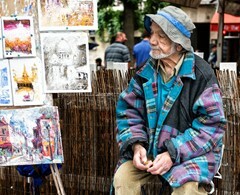 But it long been affecting other camera like back to Nex 7 or so in few years apart. It is a serious flaw for JPEG shooting. I thought the sensor is supposed to be most sensitivity at blue and green only more than red itself which is common nowaday. Sony does not render as red as Canon does. It renders orange in Sony for example instead of true reddish. Not just Sony owners but there are many Lieca, Canon and Nikon shooters who owns A7 and completely disagree with DP's cons about JPG of the camera. If you own *and* like the camera... I'm not sure why would you be bothered by reviewers' opinion. I personally am not. You take the DPR reviews too seriously. They are not objective. I'm happily shooting away with the GX7 and it got worse score than the A7. But DPR staff doesn't like it. They like camera - it gets better scores. They do not like the camera - it gets worse scores. And that's pretty much all what there is to it. We have all the tendence to compare apple and oranges. Comparing this camera with a DSLR is only possible on one level, and that is that it is a camera and it's IQ. All the rest is completely different stuff. Weight, size, handling, all that can never be compared, possibly facilities to personalize, but that's it. Now, concerning jpeg quality, I wrote this alredy and repeat it, a spanish magazine has tested IQ of A7, Leica M140, Nikon D800 for the out of camera IQ in jpeg and raw, and in both fields, Sony won that match. So, I do not know why DPR is always among those who get bad pictures out of most cameras. When I compare the sample on this site and those from Fred Miranda forums, or Steve Huff, there are worlds of difference. Maybe a guy who knows about what a camera is and how to handle it, like Steve Huff, should work for DPR to make cameras somewhat better. One can not judge a camera on what disadvantages it has, anyone has here other ideas and needs anyway. @The Philips - the scores are as objective as possible and based on around 50 specific data points, benchmarked against the camera's peers. The awards are based on whether the reviewer liked it or not, after extensive use, trying to put themselves in the position of a would-be buyer. All reviews, by their nature, include opinions. Ah Sony users. Running frantically around the net, looking for good reviews to affirm that their choice of purchase was the right one. No faith in their own ability to judge? there are at least 20 review out there all underlining poor af and handling and still a bunch of sony fanboys ant convince us that this camera is as responsive as em1 and the shutter is not bad, even if it produce a sound not even a mamiya rb67 does....then you see a small camera with the same biug lenses as any other ff...a 70-200 2,8 will be the same as big as any ff 70-200 2,8..so you end up with a smaller body and biug lenses, same as nex, same uncomfortable handling. @R Butler, you do not have to justify it somehow. The GX7 review came at the time as I have finished reading the Canon D70 review. Contrast between the two was just too great to miss. GX7 review was like "oh that and this works but we don't like it". While D70 review was "omg, there are problems and compromise, but those are OK for the Canon because all Canons have them and anyway it spells omg the great future!!!1!!". It is bias in its purest form. It is also humane to be biased so I'm not really protesting much. I'm just stating the obvious. @Shamael Spanish vs British review... Do you think that the different outcome results from the dispute on Gibraltar ? I like it - why no gold award ? Because you didn't write the review. Wow. Just how revolutionary does a camera have to be to get a gold award? If Sony made a camera that walked on water, some of us would complain that the water wasn't wet enough. I respect DPReview's conclusions (let's be honest -- DPReview's reviews are consistently outstanding and worth the wait). But as with any review, actually put the camera through its paces for yourself and decide if its for you or not. The fact is, whether its Fuji, Canon, Nikon, or Sony, etc., cameras of this caliber perform at a level of excellence unheard of even five years ago. The fact that we can with a straight face nitpick about image quality at ISO 12, 800 only shows that we as photographers have it made. the best and more simple way to go is to give the camera to a few people, leve them give their opinion, then write a report, say what it has and has not, what to your opinion could have been made better, and then publish that. Forget that notation system, you end by endless discussions with all people to see this different, and there are 7 billions on this planet having all their own opinion, and for each of them, there own is the only good one that counts. Camera brands, like so many things, have become for many a religion, a dogma no one wants to break, so why blow air in the coal to keep the fire burning. That is all nonsense. I use 4 systems, and soon a fifth, but not all people do, some keep one brand only and use it as their religion, and many comments confirm this without any doubt. Shawn, thanks for your response. You hit it right on the head -- I find that a camera's ability to inspire me to shoot with it is just as important as its spec sheet. I respect that the reviews have a certain level of subjectivity to them because behind every camera is a real person with his or own expectations about what a camera should accomplish for them. Thanks for the excellent review of a great (but certainly not perfect) camera. Tried this in a store with a metabones lens adapter to try out some Canon AF lenses on it. Not sure if there was something wrong with the camera or adapter, but it took about 6 seconds for the combo to achieve auto focus. Within specs... sure. CDAF with SLR lens will take way longer time to focus. So nothing wrong with that,it works just as what it's suppose to. the goal of using hybrid lenses is to make yourself the job and focus manually, and not let the camera do the job. Canon uses another algorythm for the AF system, and translating that in an adapter ends by some issues in focusing speed. That is normal, and PDAF is different, if you use any dslr lens with adapter, you get that issues. That is why Sony uses an adapter with the contrast detect AF system from A77/99 with translucent mirror to run A lenses on the E system. The LA-EA1 and EA3 have no AF system and work in MF only, EA2 and EA4 have it and are thus bulkier. The issue to get this resolved is that all manufactureres step to a common mount in DSLR and in Mirorless, and a common AF algorythm and detection system. That would really give a kick to the market all over. Imagine one lens park, different brands, one mount, up to 5 bodies for just any need and style and there we go. But, keep dreaming, it was just a nightmare like any other. I am sure Sony users would love a one lens fits all solution as at least then they would have some depth in native lens selection. Sure it has its drawbacks, nothing is perfect but I don't think its advantages have been weighed nearly enough. It is compared to a D600 right? Well try walking around with a D600 with a zoom lens on all day. ITS gets REALLY heavy. Not to mention its size. A7 with lens is about HALF its weight. They say the best camera is the one you have with you and its simply way easier to carry the A7 around. Image quality is just as good if not better sometimes (I only shoot RAW). Sure JPEG quality doesn't look that great ill admit BUT unless you plan on using the pic right out the camera with NO post processing at ALL then why wouldn't you shoot RAW? Or better yet shoot RAW + JPEG ... for quick sharing AND post processing.. its really not as big of a deal as you make it out to be. Start up time isnt great but its never made me miss a photo...2.5 sec max. I personally would rate the A7 a 90 and yes iv owned the D600 as well. Depends on the zoom lens, doesn't it? You can cut the body weight of the camera down to nothing, but physics being what they are, if you want a lens that's 200mm f/2.8, you need a front lens at least 72mm across. That's with any camera and any sensor size. People really need start going to a gym. I don't know - for years weight wasn't such an issue, and heck: even some of the heavier cameras were sought for (eg. Dynax 9 Ti - still one of most desired film cameras of it's age). But suddenly in last 2-3 years everyone lost muscles and now every gram counts. Interesting point someone made. If you take the A7 with any of its native lenses, you can find the EM1 and a similar native lens that makes a smaller package and gives you close to a stop or more light. Oh, and the EM1 combos cost less too. Why does this matter? If you check DxO the difference in DR is usually around only 1/2 a stop (at most ISOs) and for noise very close to that 1 stop difference (for most ISOs). So when you do a comparison with native lenses, the EM1 is smaller, costs less, gives the same or better IQ according to DxO, gives you IS with each lens, focuses faster, and focuses more reliably in low light. The only win for the A7 is slightly less DoF, which often is not a good thing. Should we speak about diffraction or you did not bother reading the M1 review? So you say a 4/3 sensor gives the same or better IQ as a Sony 24MP full frame sensor? Or at least DXO says so? Maybe you want to check your facts and or give your head a shake. lol. Question is, how do you get better photographs (better, meaning having compositional value to shock, please, inspire or communicate a message - and the answer has nothing to do with how you interpret DXo technical info. I'm not saying anything, I'm just saying. EM1 has noise starting from base ISO which isn't even 100. But thanks for the laugh! So some people here can't read. I listed the M43 lenses that give a 1 stop advantage over the native Sony FE lenses (EM1 has IS too). With the extra stop the E-M1 surpasses the A7 in DR for most ISOs! Noise also almost is even too (with IS will be less on the EM1 in many cases). So you end up with one camera/lens combo that is cheaper, smaller, has more DR, focuses faster, operates faster, can use MORE lenses (All use IS), and even has a nicer/larger grip! The other camera has tiny bit less DoF. Uhm, if you're maximizing dynamic range, you shoot at base ISO. Remind me what base ISO is on EM1 again? With the EM1 the ISO range is ISO100 and up. When you compare the actual measured ISOs (not what the camera says) from about ISO150 up to over ISO9000, the difference between the A7 and EM1 is around 1/3rd or 1/2 stop. My bet is most picture you take fall in that range. For me it is well over 90%. The 1 stop better lenses mean the EM1 will give you more DR. Then there is the fact that the EM1 does almost every thing else either better or faster or more reliably. NEX-6 costs even less. What's the point of comparing cameras from different sensor size? 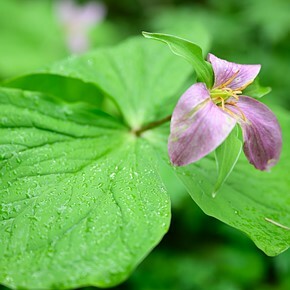 True, for native lens, m43 format offers more selections. However, Sony FF mirrorless is ALSO useful for those who already own legacy lenses(or no so legacy Canikon lenses). Of course you can use those legacy lenses on m43 cameras, but the field of view is changed. If you are building a system from zero and you prefer smaller size, m43 is probably a better choice. But if you want to use your Canon lenses on a 36mp camera, Sony FE system is the answer. This is uselss talk. You do not need FF to get a good shot. At 100 iso, a NEX-7 makes a better picture if you look at full size than A7. This is normal, since pixel pitch is twice as fine on NEX-7 than on A7. A 7 pitch matches 12 mpix APS-C, A7R matches 18 mpix APS-C, 16 mpix 4/3 is same as 24 mpix APS-C. Now, all is in what you want to do. DOF and high ISO noise is the issue, and not all of us do night shots, or want pictures where only a spot in the center is sharp and all around is out of focus, what is an issue you can not solve with larger sensors, except if you make the distance to the sensor and the lens larger, like on medium format, where distance and lens size is given by the mirror that is in between it. DOF can be obtained by hyper fast lenses on any system, a 0.95 Nokton or any 1.4 lens gives you DOF on just any system, without, for sure, being able to reach the one of a FF sensor. 1", 4/3, APS-C and FF, sized to 9x13 prints do all the same good picture. While the noise in APS-C is awful compare to FF. Yes DT200 but the a7/r has better image quality and for me that is what matters. Perhaps it is a lower priority for you and perhaps you don't do much post processing. The a7/r has started a new class of ILC. Why get so upset about a competing ILC. It's just another option for us all. Reasonably priced ILC users now have a choice of 4/3, APSC or Full Frame. What is wrong with that? These various ILC formats have various strengths and weaknesses and our choice has now been expanded. Stay with 4/3 if that is what you want but please don't try to convince me to follow you preference. The a7/r will cause other manufacturers to make reasonably priced full frame ILCs (possibly Olympus) and choice is good for all of us. By the way, DXO gives the a7/r much higher scores than the EM-1. I have had mine for a month now. Of the 15 "CONS" listed in the review, only the slow start up has any meaning for me. All of my systems lenses can be used on this body. My large dslrs and M8 have been unused since it's arrival and I am considering an A7r for back up or primary body. Exactly. "Cons" isn't short for "condemnations," it's a list of possible disadvantages we thought people should know about so they can make their own decision. When we don't mention certain items, people jump on us, so we list the ones with think might matter. If a con won't matter to you, ignore it. But that's no help to someone who doesn't own the camera and has no realistic way to assess whether the con matters or not... If he thinks your review has merit, he must assume that it matters. Otherwise your review serves no purpose. But if it shouldn't actually matter for most people, then you're prejudicing the reader. for 15 years we have been listing the good points and the bad points in as much detail as possible in order for readers to make an informed decision. The cons listed do not, of course, have equal weight. Does 'fiddly battery cover' carry as much weight as 'worst in class image quality'? Of course not. We list everything we find and it's up to you to decide if it matters. If you only shoot raw you can ignore all comments on JPEGs, for example. If you only shoot manual exposure you don't need to worry about comments about auto modes. We have a large, broad audience, and we try to offer as much information for everyone as we can. We also offer a lot of context to our criticisms, including here, where we are at pains to point out that these are not big issues, can in part be mitigated by changing default settings, and will not be relevant to most users. I reckon this review to be quite critical and camera as underrated. As a very frequent user of A7 - one of first on a local market, when put into sale in Oct 2013, with more than 10T pictures already taken - I can just confirm, that it is far, far better in terms of IQ than any of its SONY predecessors which I have used equally frequently (using digital camers since 1997 - mainly SONY's F828, A100, A700, A77). I am always thrilled by MAJOR improvements in IQ and camera's abilites generation-by-generation (A100 to F828, A700 to A100, A77 to A700 and now A7 to all others. At a same moment, I am still keeping former SONY machines as I still love their capabilites. What can be confirmed as a setback is battery life and start-up times - u can get used to that, also lack of legacy lenses - but with Minolta and other alternatives, who cares. Not much from highlighted cons shall matter to any user. Photographic results are just excellent. image quality is obviously better than A99 (SLT to be blamed) but not as good as RX1 according to DxOMark (maybe within error). SLT is a problem, losing 1/3 of light lose 1/3 of IQ compare to mirrorless/and full time mirror DSLR. The noise crawl in 1/3 earlier in SLT than other camera unfortunately. Thats a consequence. On the other hand you get much better AF, stunningly innovative AF-D mode, and a body that you can actually use with lenses longer than 50mm. i have a 7r with Fe35 2.8, and that´s what matters to me also. Wow, some beautiful shots on that thread. I guess thats the point though isn't it? When the camera first came out I was critical of those already criticizing it based on a spec sheet. Ironically when the initial reviews came back all positive, the response was that a FF camera wouldn't make you take better pictures. Now the reviews are in, its the opposite, the FF camera irrespective of your skill as a photographer will make you take worse pictures, or atleast that seems to be the implication. 7R, FE 35, 2.8, Jpeg. the miranda forum shows us what this cameras are able to do. Now, if we see some Oly OMD forums, we look NEX-7 forums and so on, we see that all those cameras are able to as good and even in some situations much better. But all that proves nothing, if you know how to use a camera, you make good shots, and today, thare is among the top line of cameras no bad one anymore. I am not jealous on any of that forum shots if I compare them to my NEX-7 shots or the A7 and A7R shots I did. The only issue that will make me buy an A7 is better high ISO performance. If I see the results on 100 ISO, I see no reason to change, one can hardly beat NEX-7 IQ anyway. At this moment I wait what the NEX-7 successor will be, I prefer APSC for the wider DOF, FF is too shallow in most situation in which I shoot. 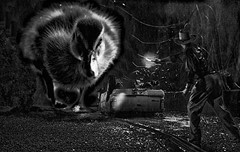 goo duck that now we have a sony a7 so we can shoot marvelous photos....those thread show pretty normal photography as you can see in every thread in miranda related to other camera. Good try Sony but the list of "cons" is the deal breaker. It may have the smallest full frame body with interchangeable lens capabilty but it is still far away from being a camera capable to satisfy professional needs. Back to the drawing board. Surprise it can still get an 80% score and silver award. I would take the Oly EM-1 anytime eventhough I would prefer a Canon 5D Mk3 or 1DX for performance and getting the job done. LOL iv owned the Oly EM-1 and the A7r. fact is the EM-1 looks like a smartphone quality vs the A7r. Is it faster with better auto focus? sure but the end result is 10000x better from the A7r and thats all that really matters in the same form factor... As for the 5D Mk3... its 1k$ more...and frankly image quality is NOT better (only the autofocus and FPS). D800E is however slightly better esp in JPEG. I would take the E-M1 because of the speed it has. I think this would be a good complimentary alternative system to have for weddings and slow moving action. I really like that DPReview did point out flaws and not just how wonderful it is. They produce good reviews even if I don't always agree. no contest if you want live in a manual world, u want be hear 20 meters u are taking a photo and our af struggle after 5 o'clock. 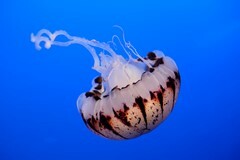 good luck.. but if you shoot still stative is good...in miranda thread is not a case there no photo with subject moving. but this story was a great disapointment. In the valuation the A7 has lower Image quality than the older and slt-handicaped A99. Now the A99 is hidden, great solution. And the sony-haters are stoked. Short after the Publishing the Review of the A7 it was possible to add the a99 for direct compare. Now their are only the Canon and Nikon modells left. Is that an easy solution for the illogical claim, that the A7 get lower judgemnet in IQ (also in RAW) than the A99. I might be the minority, but I went into a Sony store, stuck my SD card into the A7R, shot some frames with the attached 50mm f/1.8 lens, went home, stuck it into my computer to look at the quality and was utterly not impressed. Also the camera was unnecessarily loud when clicking the shutter. I was able to hear it on the other side of the store going off when someone clicked the shutter. What the heck? It's mirrorless for goodness sakes. I have "stuck" a multitude of different lenses (leica, canon, nikon) on my A7 and am totally impressed. Maybe it is just you. You're right that those are some really nice photos shot with the camera on teh fredmiranda site. However, they aren't showing me anything that couldn't be done on any other digital camera. The problem with digital cameras is that the sensor is the determining factor and so many cameras have the same or similar sensors in some cameras that everything looks the same. That can be a good thing and that can be a bad thing. In this case it's a nice sensor, but nothing we haven't seen before (Nikon D800). I understand my experience with the camera in the Sony Store isn't indicative of what the camera is capable of since all the settings could have been skewed towards "pleasing everyone" look, but it just didn't impress me, which is why I said it could be just me and I'm sure it was, save for a few people. "In this case it's a nice sensor, but nothing we haven't seen before (Nikon D800)"
It is the same sensor as D800. I have made tests with both, and 3 people in our photoclub, hard Nikon herdliners, have sold there D800 after that to get the A7R. It makes definitly a little better picture, as well in jpeg as in RAW. The difference, when downsizing, is not visible, what matters is the same good, even a bit better IQ in a smallee package. Our club is made of old hares in the photo business, and when you get older than 60, weight matters. I have DSLRs, medium format, and since I have the NEX, the big things take dust. And, I shoot sine 52 years now, so one can not say I not know what I am talking about. My preferred DSLR remains my Fuji S5 anyway. The overly detailed investigation into jpeg posteration may be fitting to the OCD nature of many gearheads out there, and I do not think Sony jpeg is that great (compared to the likes of Canon/Oly/Fuji) and agree it has a negative impact especially in face of its wi-fi capability, but I find the level of investigation over something arguably minor could similarly justify in-depth investigation of shutter-shock in many MFT cameras that do not have EFC, or in-depth investigation of PDAF errors of bright primes in *many* entry level DSLRs without MFA, or investigation into PDAF competency among different DSLRs, etc for that matter. We get the point, Sony doesn't make for the best jpegs...I agree with that point to a good extent. However so much investigation when IMO there are plenty of similar flaws deserving of research as well. In fact I would wager PDAF inaccuracy of bright primes on non-MFA cameras to be far more detrimental with no good work around. @Timbukto - it's a difficult balance to strike. We came pretty close to moving the posterization section into a sepatate article, or maybe presenting less about our findings. In the end we elected to put a note stressing that we didn't think it was a big issue and that the reason we'd shown so much detail was to explain the subtleties of what we'd found. The problem is, once you've started to notice something that affects your conclusion (to any degree), how much depth should you go into? We had to check whether all cameras exhibit the problem and whether it was just a JPEG issue. Did we present too much information? Possibly. But we wanted to be clear the extent (large or small) of the issue, so that people could make up their own minds. Since we don't have the time to investigate every issue on every camera, we have two choices: to not investigate anything, in the name of 'fairness' or try to pin-down those issues we encounter and think we can explain. With regards primes on non-fine-adjusted bodies, there are many, many factors involved: which lens, sample variation between bodies, compatibility, given the additional sample variation between lenses. Then you have to create a test that is reasonably representative of real-world conditions for a reasonable number of hypothetical users. Then you test. With multiple lenses and multiple brands. I agree there's plenty of things worth looking into, but it's not always possible. Yes PDAF testing and sample variation in gear, etc is a burden to test. One for which Roger Cicala of LensRental has more leverage than most review sites (which if review samples were requested could easily be cherry-picked by each brand anyways). But just as this posterization rears its head only sometimes, IMO PDAF errors rears its head perhaps more than just sometimes, to the extent that personally I view a MFA-enabled DSLR as a must (you guys briefly touch upon this point recently in the 70D review which is a MFA-capable DSLR). Obviously to have an empirical study would be out of scope and reason...but at the same time PDAF accuracy/speed/competency is quite often what tacks on an extra digit in pricing with DSLRs, obviously it is something that heavily delineates purchasing decisions. I would like more investigation into PDAF beyond this DSLR has so and so # of cross points. The issue of complaints and bias is moot as people are complaining about your posterization results. If DPR have actually "discovered" a real issue, it should be all over the place. 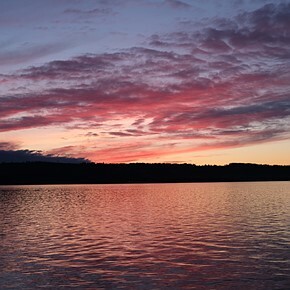 The most common instance of gradated uniform background is sky+vignette. And we know for a fact thousands of wide angle RF lenses (which we know vignette heavily) were among the first to be tested on the A7(R)s, well before RAW profiles were available for them. Yet everyone missed the posterization but it was the brilliant sleuthing of DPR that uncovered it. ... Either that or posterization is actually bloody rare even in the situations that are supposed to display it! Also if DPReview is looking to save up some substantial 'test' time, IMO you guys should *not* run every single Canon 18MP APS-C sensor or Sony 16MP Exmor through the studio comparison ropes. That would save a ton of time right there. Create one 'reference' for those sensors and once you determine another sensor to be 99% the same, just refer to the reference. Testing every iteration of some 18MP or 24MP APS-C sensor again and again does nothing but waste time in letting people view nothing but minor focus error differences. All that time being spent carefully shooting that static scene at different ISOs should be devoted towards creating a moving AF scene which would be revolutionary...perhaps flawed but I'd love to see an honest attempt of one. ...because I don't see him using legacy lenses of notable brands like nikon, canon, olympus, leica or zeiss with adapters from Fotodiox, voigtlander, etc.. and trying different combinations os customization for the problems he says exist in the A7. I guess for Barney Britton this wasn't a test but only his personal opinion. If not, how can a professional miss the Af/MF button when using MF lenses, before stating " When it comes to activating magnified focus mode, the buttons that it makes most sense to assign are C1 or C2. Personally, I find that C2 is a bit awkward, due to its position on the 'shelf' that runs along the upper rear of the cameras, and so close to the EVF." We must have missed that there is in fact a more convenient and practical way to change to magnify while using the EVF. Wouldn't you agree? Regards. Thank you for the A7 review DPR. I read through as much as possible given time constraints. I always try to pick up a few ideas (whether I own the camera or not) in a detailed review such as this. Looks like lossy RAW compression could be offset with a firmware option for lossless compression (If the mfr. would do it). Set NR to off - no problem I've done that with nearly every camera I've used. DRO auto? I might try it to see what effect. 1/60 min shutter in auto ISO. True I'm used to more control over that but just shoot manual and use auto ISO while setting aperture and shutter speed. Looks like a good camera which essentially you've said. I just think that in this day and age, there is no excuse for substandard JPEGs. Yes, I know shooting RAW is great, but there's no reason, with today's tech, to have anything less than great JPEGs, especially at this price, and I'm a Sony fan! More like plenty of people reposting the same blog link to prove plenty of people are with them. More like no one can actually post sample everyday shots of JPEGs showing these alleged problems except in carefully set up conditions. For example, from DPR's review: "Our test scene suggests the problem becomes visible around ISO 12,800." lol what kind of hunting for artifacts nonsense is this? Even auto modes cap at 6400 but most people should never need to go above 3200. @querza - as with the posterization, it's something we saw in our real-world images first, that we then tested so that we understood and could explain when it would and wouldn't have an impact. Once we'd seen it, very obviously in a couple of images, would you prefer us to just not say anything? Or say 'it happens sometimes, we don't really know when'? Or should we say 'this occasionally happens, it seems to only be an issue in these circumstances'? Now in your review, on sharpening you actually state the JPEG did better than your RAW attempt but in your effort to prove your point, you continue: "This, combined with the camera's tendency to sharpen edges, can leave a rather unpleasant result if you zoom in. Our test scene suggests the problem becomes visible around ISO 12,800." Uh hello... ISO 12,800 before sharpening becomes apparent is a negative? Maybe in 2016 when ISO 25,600 is standard but in today's world seriously? Then "heavy handed noise suppression" is uh... heavy handed at the strongest setting? So if you don't like it, you can turn it to low or off...? At least you're honest enough to say posterization is occasional, but the other two are non-issues. The sum of it is that there's a reason there's options in the camera. Some people want the camera to do all the PP work for them. Others abhor it. On the one hand you treat the JPEG user as discerning enough to be able to spot rare bands of posterization and a regular pixelpeeping user of ISO12800, on the other hand you treat the JPEG user as not smart enough to figure out there are image quality settings to toggle in camera. It's really quite shoddy reporting. I disagree that it is shoddy reporting, just somewhat unbalanced relative to other problems in other gear. The posterization information was detailed and informative, just not very 'balanced' in the face of other problems out there with cameras. The authors described themselves as ambivalent about the Sony A7. I am not sure how this ambivalence equals a silver award. Sony appears to engineered a camera where the whole does not equal the sum of the pieces. i could have had the sony or a hasselblad. i got the hasselblad instead. cost a lot less than the sony. the hasselblad has a larger image size. Which Hasselblad, Lunar or Stellar? "The alpha phase of the release life cycle is the first phase to begin software testing..." -Wiki. Yup, this Sony camera is an Alpha. :-) Perhaps next year Sony will release a Beta version. "If you need more of a contrast boost, the HDR feature works very well." The problem is too much scene contrast, not too little. Boosting contrast would be the opposite of what you want, and also the opposite of what the extended dynamic range modes do. I will be impressed when they make a 24-70mm f2.8 that fits in your pocket!! sew up to your overcoat. Please post the A7r review now! Ha! Ha!! 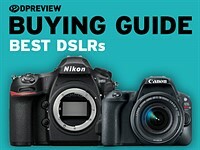 Amused at Dpreview a7/r review! I thought a7/r has the best JPEG image so far by Sony and close to Nikon D800. 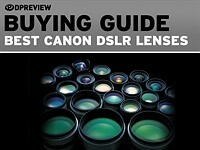 The review seems biased and from a fanboy perspective rather a neutral camera reviewer? Feels like that to me too in a way. Agree. It's the best Sony JPEG engine ever. But the posterization problem seems legit. I hope Sony can address that. Makes me remember the infamous Fuji white orb problem. So, nice try, but terminally flawed. I always thought Sony was best at making transistor radios. The review may be flawed, but at least dpreview knows the difference between a transistor radio and a camera. They've both got knobs on, don't they? It's a "camera", made by a very clever company with little experience or idea of what a real (still) camera is. So good try, no cigar. Btw, did you ever handle one? They bought a company that made excellent cameras for many years. Not much rubbed off unfortunately. But they did make better and more expensive transistor radios than Panasonic so I wouldn't write Sony off. @AbrasiveReducer: yes they bought that company, and have so little left to show for it. "B&P Mike"? Never heard such nonsense. Get a gripppp on yourself man! This appears to be a thorough and fair review. I am probably not in the market for a new camera but was very curious about the A7. As the RX100 produces really good jpegs and the RX1R outstanding jpegs the results here are a bit of a surprise. Thanks DPR, I enjoyed the review. Looking forward to the Nikon equivalent to the A7 - hopefully it won't have the A7's flaws. For whatever manufacturer that puts out a compact FX mirrorless body I think one of the missing links are compact primes. I'm not talking about a compact 50/1.8, but rather a set of compact primes something like 85/2.8, 50/2.8, 20/4, etc. that are very very good wide open. Though there are many times f/1.8 comes in handy, most of the time f/2.8 or f/4 works just fine, especially with the high ISO performance of today's FX sensors. I realize that you can't have a compact tele because of the physics or compact f/2.8 ultra-wide angle primes due to telecentricity issues, but a set of compact wide angle to short tele primes would really make FX mirrorless much more portable. Get ready for a looooong wait. Nikon don't even have a mirorrless APSC system, only a partially successfull 1" system. Yep, you are unfortunately probably right that I'll have to wait for a long time. 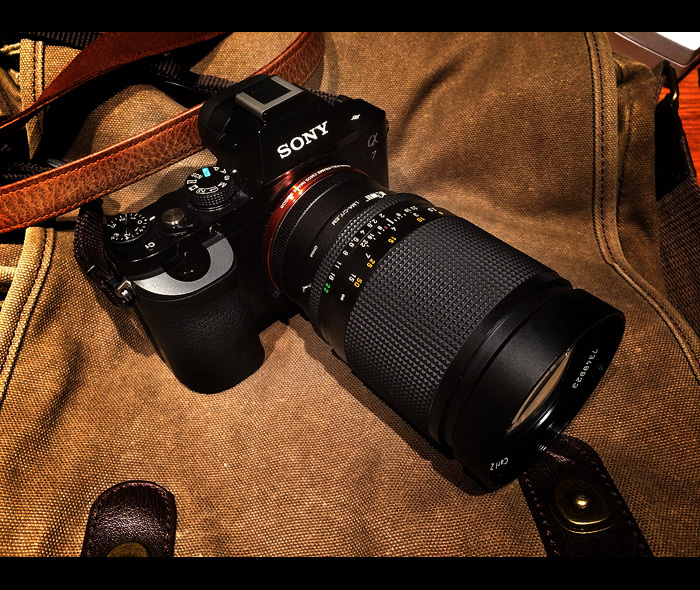 Hopefully Sony introduction of the A7(r) will force the issue with Nikon (and likely Canon as well). In the mean time I'm enjoying my D800 + FX glass (both modern AF and legacy MF glass) and my m43 system (GX7+ some great glass + adapted glass). I'd love to just have a compact mirroless FX body with some compact f/2.8-ish primes able to use all my F-mount glass . . . .
Not unless the A7 starts selling in greater numbers and there is no sign of that happening due to the fact they rushed the camera to market and messed up the launch. "Not unless the A7 starts selling in greater numbers "
Where are you getting your "numbers"? TrojMacReady - just look up at the sales rankings. Eg. Amazon got one, and A7 is far behind the bestsellers. Besides - CIPA also is releasing global sales numbers, and mirrorless are steadily going down. You are missing the point Jhinkey - Nikon do not have the wherewithal to make a camera like this. Nikon became successful in the 1950/60's making copies of Leica/Zeiss cameras and have very little originality nor innovation in their DNA. They don't make sensors because they do not have the technological skills. 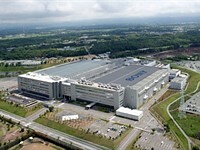 Sony acquired Konica/Minolta who have always pushed the photo' industry forward. 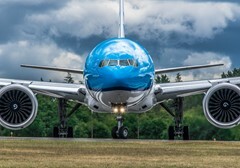 Their innovations include PASM mode selection / TTL metering / in-camera auto-focus / in-body stabilisation / having a computer chip in a camera and many others. Sony are continuing this pioneering spirit. Minolta went bust because their motivation was to make better cameras/lenses while Nikon put profits first. "just look up at the sales rankings. Eg. Amazon got one, and A7 is far behind the bestsellers. Besides - CIPA also is releasing global sales numbers, and mirrorless are steadily going down." First, the A7/A7R have been listed 3 to 4 times in the top 20 of compact system camera sales the last week. And again, those are not sales numbers, local, single retailer and most importantly, too short term, non verifiable... non usable statistics to begin with. C) show both DSLR and mirrorless sales declined by a similar percentage over last year (roughly 18%) and a stronger surge of mirroless in the last month made available. Let's stick to the facts, rather than making up silly and unsubstantiated claims. It seems to me the problem here is in mismanaged expectations and perspective. Consumers seem to expect every new product should improve on every possible specification from megapixels and ISO to battery life. The reality is there are always trade offs. Sony has built the highest resolution 35mm sensor currently available into the smallest possible interchangeable lens form factor. Many people are comparing the a7/a7r to the em1, which has a sensor 1/4 the size and half the resolution in a body roughly the same size. But this camera isn't meant to be an em1. If you want those capabilities, buy the em1. This a7r provides the highest resolution sensor ever available in a body that allows me to adapt virtually any manual focus lens ever made in the history of photography. It's insane to expect auto focus lenses from other systems to adapt without trade offs in performance. 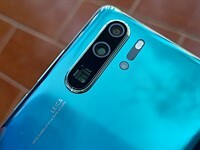 It's silly to expect a 36 megapixel camera with 2 electronic screens and who knows how much internal processing to get the same battery life as other cameras with dramatically smaller sensors and larger bodies. A Sony rep recently loaned the a7r to me for testing. The first thing I did was remove the zoom lens he included and attached my Contax Zeiss manual focus lenses. It's a marvel to have what is effectively a digital contax S2. 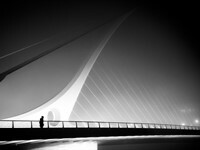 For most of my work, I shoot hasselblad with an older Phase One tethered back. It's a slow combination... Difficult to focus... Large and heavy... Not portable in the least... I can't shoot slower than 1/125 without camera shake unless I'm using a 30lb tripod or studio flashes... My usable ISO is 50 or 100... And there are literally zero image options besides white balance. And yet the results are stunning... But I never use it for weddings or theater photography. For that I use an em1. 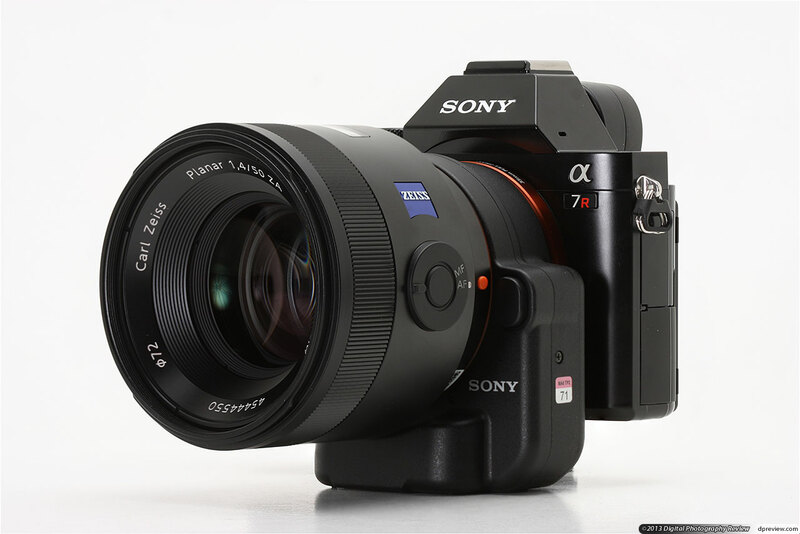 To me, the a7r is a baby hasselblad with more resolution than my current digital back, battery power, infinite lens adaptability with potential for Zeiss tilt/shift adapters, incredible ISO range, live view focus peaking, some choices for auto focus, weather sealing, Wi-Fi, intervalometer, AND video that is as good or better than anything out there in this price range... And it costs less than $3000!??!! ARE YOU KIDDING ME?! Shut up and take my money! I believe Sony are expecting this initial "hit" due to excessive expectations and this will be compensated later when major players start migrating to their new FF mirorrless systems which is inevitable and at that point Sony will be far ahead. You nailed it. This camera isn't perfect, but very close for many photographers. I bought one and am having the time of my photographic life using my leica, canon and nikon lenses. My M8, D800,D600 and 1DS-MK3 remain in the drawer. You don't mean you shoot weddings professionally with an EM1 - do you? You must mean just for personal purposes. Right? Because at weddings you need "the conch shell" or you get no cred. Surely you know that. yes? 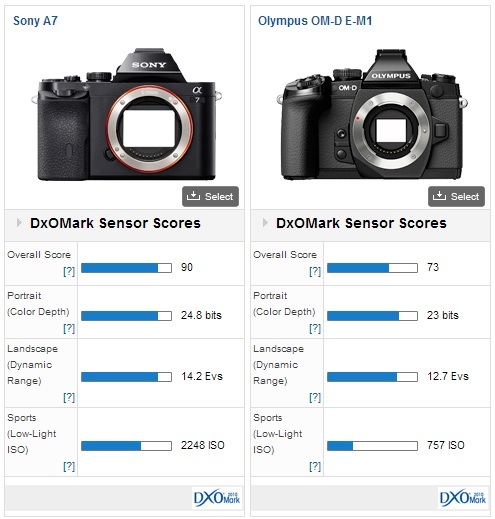 Popular Photography tests (CIPA) rate the Olympus EM-1 as 350 shots and the Sony a7r as 340 shots. Pretty much the same. Maybe not a perfect camera, but the sample pics show the full frame story very well indeed. Eat your hearts out, users of smaller formats! This is actually quite problematic for smaller sensor ILCs. Sony has essentially set an price ceiling for APSc and smaller ILCs. With each generation this price ceiling will decrease. What this means is that Oly or Pana will not be able to price their cameras above the A7 (and subsequent successors).. since people will simply buy the FF camera at the same or lower price. This is what happened when the Canon Rebel released (it destroyed the prosumer compact market), and it is gradually happening with APSc and smaller. If Sony releases a lower spec A5 with FF... it would expedite things even more. Of course Oly/Pana/Fuji can all go above this price, because they still have better quality images coming out of their camera, then this Sony FF. I don't want FF any more. It's ridiculous what camera makers are putting on the table. This is a quick bang ($) from Sony. If you use Zeiss lenses you'll be fine. But hey you have four!!! lens adapters...and faint double images in A7R. Oh Lord, just scrap it and start with a clean sheet! Did you expect them to start the FE system with 8-10 new lenses or what? If it takes 2-4 years for a engineering team to develop a new lens design this would be a stupid investment. I think they did the reasonable thing, and the system is not perfect but good enough for a lot of people. If it is not suitable for your needs - its just not for you - thats it! Stop bitching. Mount these all on an A7 and Canon 6D and the size ends up almost the same and the Canon costs hundreds less. So much for small size! I think the biggest issue is that Sony now has 4 systems out that have not been completed (Alpha FF, Alpha APS-c, Nex, and now A7/r). If Sony at least had matured one system before going on to their next project, folks could point to that as proof positive to their commitment in that particular segment. Unfortunately, as it stands now, Sony users continue to wait for updates to the lens line up (not just rehashed old Minolta designs that underperform against the competition and are priced at a premium over the competing brands) and new lenses to fill the gaping holes in the system; and Nex Users are still waiting on native lenses that will take advantage of the compactness of the cameras without having to attach adaptors that negate size of the camera. And now we have yet another incomplete system offered up to the masses. Better half baked than others' stuff burned!! Just because is says Zeiss does not guarantee the quality is good anymore. Those days have long gone. Each lens needs to be looked at individually. Stu 5, yes that's true, but DT200 compared the Sony Zeiss 55mm f/1.8 to the Canon 50mm f/1.8. There IS no comparison. There's barely any comparison to be made with the 50mm f/1.2 L! Dimit - FE lenses are just Sony branded with Zeiss. These are not Zeiss lenses like ZE series. The Lotus Eater - 50 f/1.2 is one of the worst 50s on a market if not the worst one when it comes to the image quality. This lens was made for portraits and shallow depth of field, not the best sharpness. A standard 50mm is not made primarily for portraits. Those who wanted a square sensor so much can buy A7 now and shoot with APS-C lenses uncropped. Done! 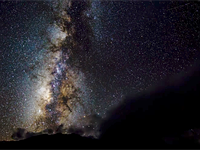 A DPReview regular created this beautiful time-lapse from night skies all over, from the Norwegian Tundra to the Upper Himalayan Desert.